An electromechanical lock is designed to perform locking and unlocking operations on a door. Smart locks, like the traditional locks, need two main parts to work: the lock and the key. 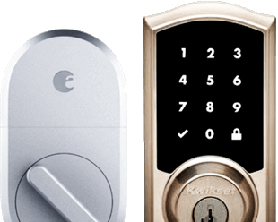 Take a look at how Kisi's technology compares to traditional residential smart locks on the market. Kisi is a better alternative to commercial smart locks because access can be managed from anywhere. 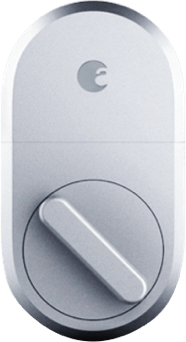 While the Kevo, Salto, August, and Schlage smart locks are all intended for residential use, Kisi is a commercial remote door lock control system intended for office and large-scale use. 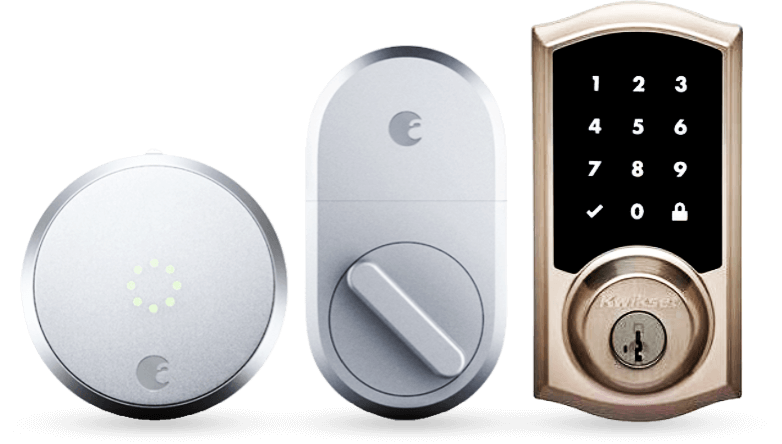 Below is a head-to-head comparison between WiFi smart door locks and Kisi's keyless solution. Kisi is proud to present our newest hardware integration: a partnership with Allegion NDE smart locks. Thanks to this partnership, you can now install NDE locks on your doors and control them from within the Kisi interface, thus linking all your doors in one unified platform. 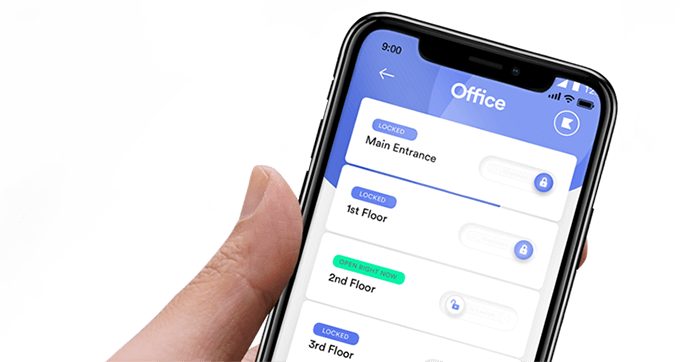 For many offices, an ideal solution incorporates both smart readers, like Kisi’s, and smart locks. A common configuration might involve a smart reader on the front door, and wireless smart locks at various secondary doors inside the building. 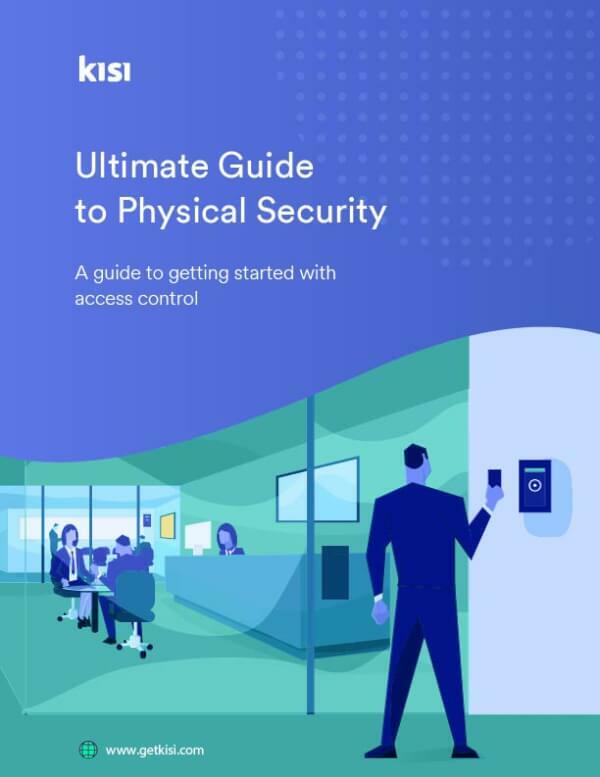 With this integration, Kisi now allows your to fulfill all your access control needs from the same provider, and have a much more painless and smooth experience in unlocking your doors. The August lock uses your smartphone to unlock the door. 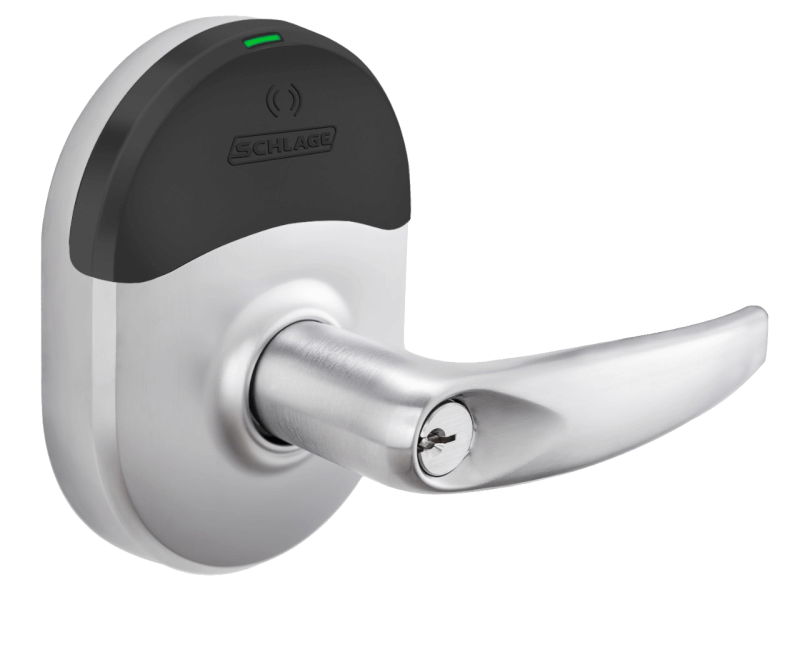 It syncs with iPhone or Android via Bluetooth (so it's a Bluetooth-enabled lock). You can use touch screen instead of a key to access the space: Press the button and the door unlocks. It also has a great hands-free option, which allows you to unlock automatically once you reach the door. Sharing access to visitors on a time restriction or repeated basis is easy and can enable full control of your doors. As an alternative, you can use Kisi for access control in your residential or commercial space. Kisi works best in high-traffic places; often coworking spaces, startups, and businesses with a large range of employee schedules. The UniKey powered Kwikset Kevo is the only true touch-to-open smart lock. 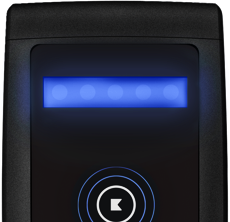 It requires no interaction with your phone and provides hassle-free keyless entry. It's great in residential-use cases, but not for commercial. 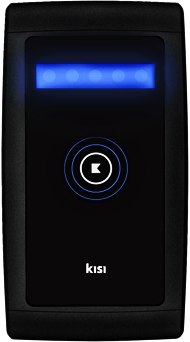 Lockitron brings you keyless access to your smartphone device. Lockitron lets you instantly grant family, friends and guests access to your home from anywhere in the world using your internet-enabled smartphone. It installs in seconds over your current deadbolt without the need for a locksmith - renters can use Lockitron, too, since you don't need to change your keys. Kisi utilizes a similar concept of remote access control, without all the hardware. Lockitron requires heavy deadbolt installations, which can result in high costs to customers. KISI is a lightweight alternative to Lockitron and only uses electric strikes and technology not visible at your front door.